To help clients reach their target audiences with interactive mobile solutions that put them on the leading edge of today’s marketplace. 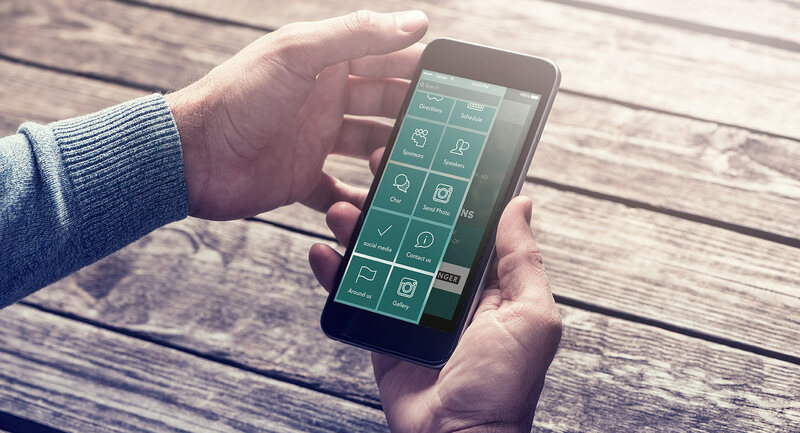 The Great Plains Chapter of the International Association of Business Communicators (IABC) approached Agency MABU to develop a mobile app for their annual conference. The purpose of the app was to provide conference attendees with a quick and easy way to receive notifications, post images, access the agenda and share the experience on social channels. Agency MABU deployed the mobile app to work on iPhones, Android devices, iPads and HTML5 websites. Mobile apps are great solutions, not only for conferences and events, but also for e-commerce, social media and advertising. Over 80% of the conference attendees downloaded and used the Great Plains IABC app during the conference. The feedback was overwhelmingly positive. The app enhanced communication between the organizers and attendees, as well as significantly reduced the need for printed materials. Best of all, the app can be repurposed and reused for future conferences.